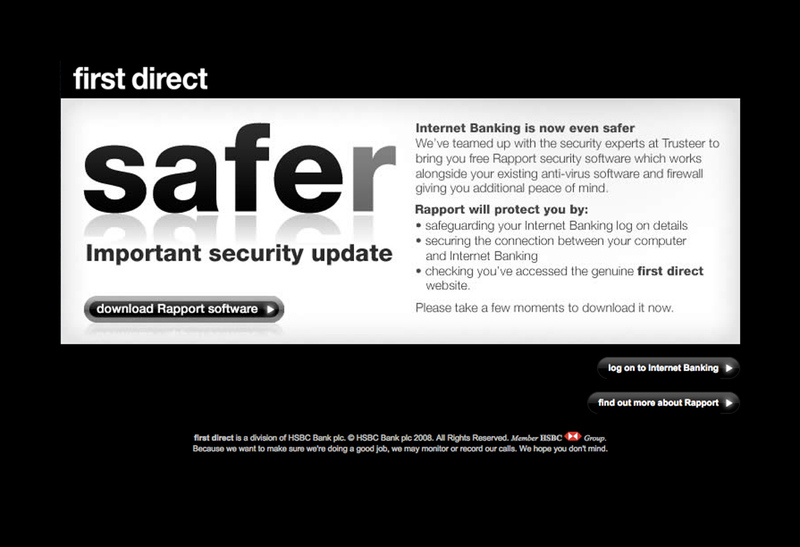 Security online is a serious business for banks. Especially banks without physical branches. Internet and telephone bank first direct needed to reassure customers that their online security was of paramount importance and were taking every step to ensure their customers financial safety including providing free security software. They were already safe. We were making them safer. We’ve teamed up with the security experts at Trusteer to bring you free Trusteer Rapport security software which works alongside your existing anti-virus software and firewall giving you additional peace of mind. • checking you’ve accessed the genuine first direct website. Please take a few moments to download it now.